Moss verbena, also known as South American mock vervain, is an introduced perennial from South America. It requires little water and full sun. 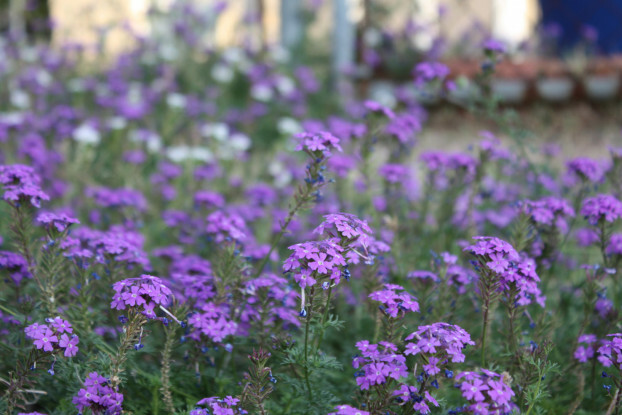 Moss verbena has purple flowers that bloom spring to summer on light soils along road shoulders or in waste areas. It is an excellent perennial for ground cover.